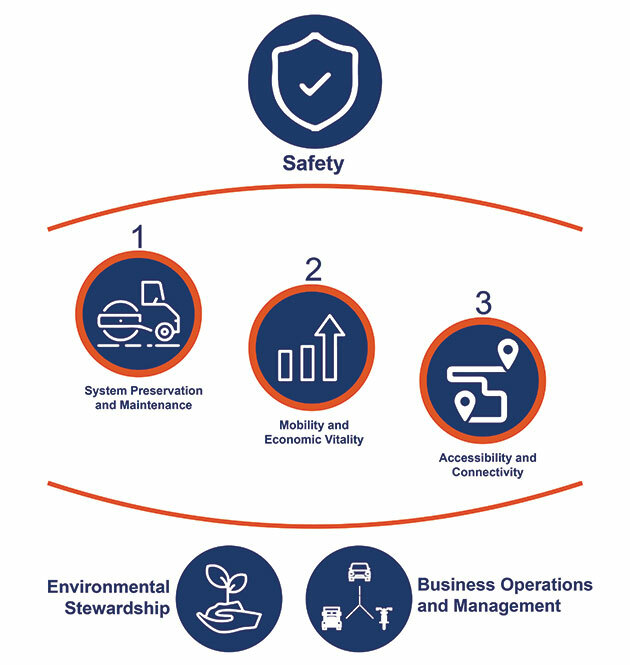 Originally adopted in 1995 as TranPlan 21, the 2017 update, TranPlanMT, is an essential component of an ongoing, statewide planning process that identifies Montana’s transportation needs, evaluates future transportation concerns, and establishes policy goals and strategies. This is accomplished through input from the public, gathering and analyzing data, and identifying emerging trends. 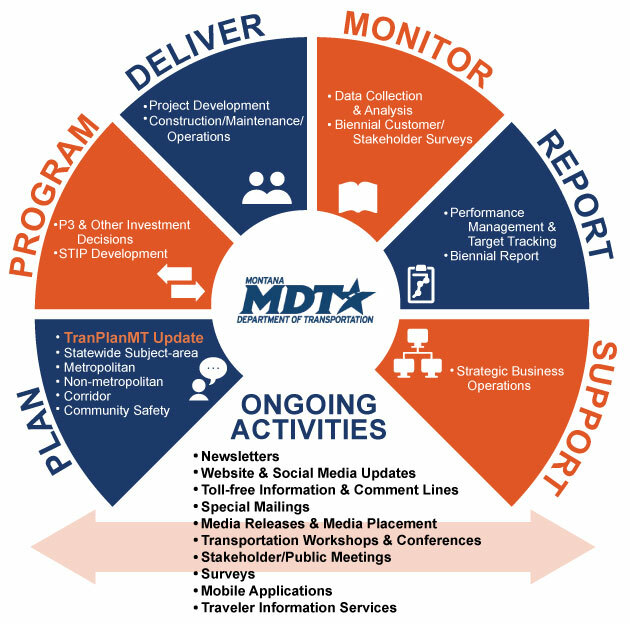 The long-range planning process gives MDT an opportunity to work with the public and stakeholders to identify and achieve transportation goals to keep Montana moving forward on a safe and efficient transportation system.